Adam Wenchel is the CEO of ArthurAI, the leader in enabling enterprise-grade AI. Prior to ArthurAI, Adam founded Capital One’s Center for Machine Learning (C4ML) and led transformative ML projects across the enterprise. Adam started his career as an AI researcher at the Defense Advanced Research Projects Agency (DARPA) developing automated planning technologies and has been active in the field of ML/AI for 20 years. Adam is a regular speaker at national conferences on ML and has been featured in the Wall Street Journal, Forbes and several other national publications on deploying AI responsibly. Ranju Das is part of the technical leadership team at Amazon Web Services, pulling from over a decade of expertise in distributed systems, architecture, web-scale analytics, big data, machine learning and high performance computing to help customers bring their ideas to life through technology. Since joining Amazon in early 2013, he has played a role in introducing significant new features and products to retail customers like Amazon Drive, and Amazon Prime Photos. 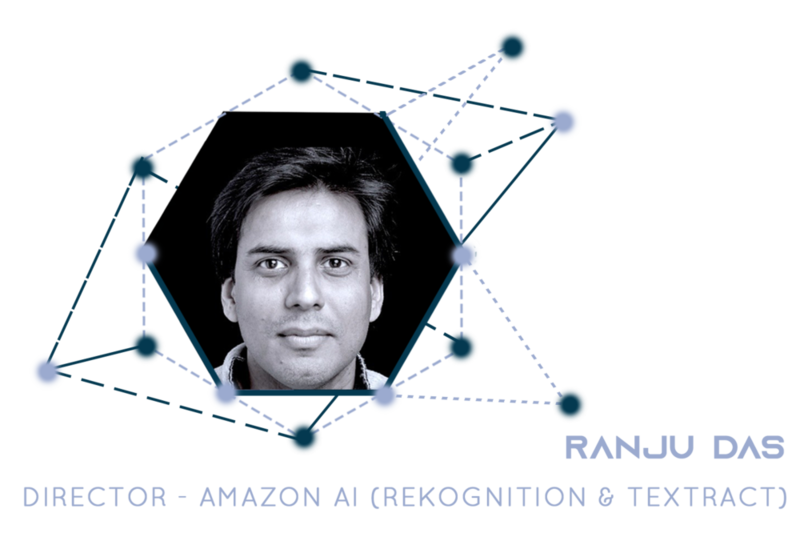 Ranju has led the development of the Amazon Rekognition Service from its inception. Prior to Amazon, Ranju played a key role in the delivery of Nook Tablet, led the big data and database development for Barnes & Noble, and was founding member of two startups. 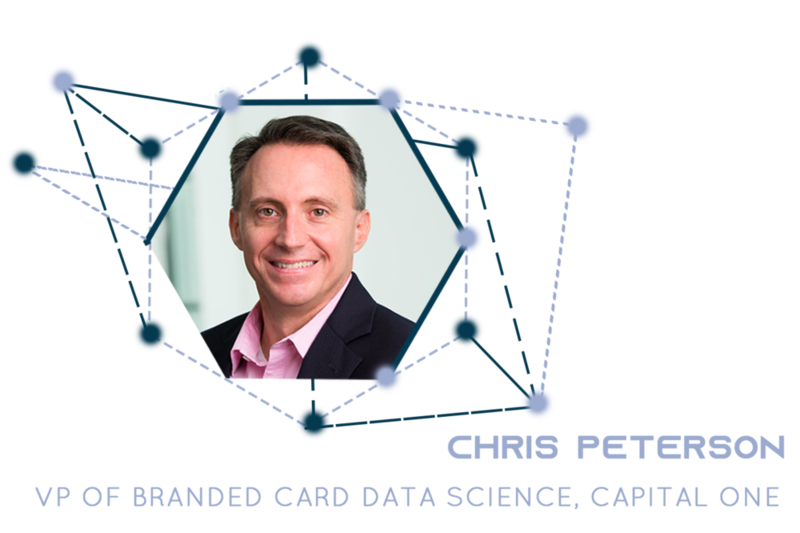 Chris Peterson, Managing Vice President, leads the Data Science organization in US Card with responsibility for developing and maintaining the core underwriting risk and valuation model systems, developing data and model scoring platforms, and defining Card’s data strategy. He is the accountable executive overseeing relationships with the primary credit bureaus. Chris also leads the Data Science recruiting process across the enterprise. Chris has been with Capital One since 2006, with prior roles in Card and the Model Risk Office, overseeing models in Capital One Auto Finance, Mortgage, International Card, Anti-Money Laundering, Retail and Commercial Bank. Prior to joining Capital One, Chris worked at Intel, 3M, and the National Security Agency. Eric Jenvey manages data analytics for McGuireWoods LLP in Richmond. His work encompasses both firm-facing and client-facing analytics, ranging from end-to-end machine learning solutions, to data visualization/reporting. On the client-facing side, he partners with the firm’s attorneys to deliver actionable insights for clients in high-profile litigation and transactional legal matters. He has experience all across the data pipeline -- as a data engineer, data scientist, and business analyst -- in prior roles. Vishal Patel is a data science consultant and entrepreneur with over fifteen years of experience applying statistical and machine learning techniques in practical applications across a wide range of verticals. He currently runs Derive (www.derive.io), which focuses on data science services, consulting, training, and automated advanced analytics products. Vishal also teaches R, Python, and Data Mining as an Adjunct Professor at VCU for their MS in Decision Analytics program. He holds two Master’s degrees: MS in Computer Science (IIT, Chicago), and MS in Decision Sciences (VCU, Richmond). Jackie Goldschmidt is a data engineering and data science lead at APIVista. Jackie started working with data as a Monroe Scholar and AidData research assistant at William and Mary. Since then Jackie has worked at startups in advertising technology and healthcare. She has experience using data science tools to build visualizations and back end applications, as well as extract insights that drive business value. She's passionate about learning new technology, startups, and the Zen of python. Spencer is a well rounded interaction designer heading up and building out the design practice at Simple Thread— a software development company based in Richmond, VA.
Paul Brooks is a professor in Supply Chain Management and Analytics at VCU. He conducts research, teaches courses, and advises students in decision analytics. He uses optimization to develop machine learning algorithms and applies them in various domains. He is co-creator and maintainer of an R package pcaL1. Renee M. P. Teate is a Data Scientist at HelioCampus and the creator of the Becoming a Data Scientist Podcast and @becomingdatasci twitter account. She has worked with data for her entire career - designing relational databases, creating reports and analyses, and most recently developing predictive models & dashboards at Higher Ed startup HelioCampus. Renee graduated from James Madison University and the University of Virginia, and lives in Harrisonburg, VA.
Dr. Miriam Friedel has spent over fifteen years in scientific and technical fields spanning theoretical physics, software engineering, transportation, neuroscience, and machine learning. She currently leads the data science team at Metis Machine, a start up in Charlottesville, VA. Metis Machine built Skafos.ai, the ML platform for iOS developers, offering push-button deployment to the edge. Search relevance is all about marrying the nuts and bolts of data engineering with the art of constructing a user experience. In recent years, Elizabeth has worked with a spectrum of data transformation needs from high-rate, high-precision time-series sensor data to terabyte-scale text and image retrieval systems. Her current passion is setting up the analytics, infrastructure, and processes needed to bring machine learning to the tasks of search relevance. Chandler is a Customer-Facing Data Scientist at DataRobot, where he helps their Fortune 50 clients leverage automated machine learning to drive ROI. His areas of focus with clients include time series forecasting for retail and banking, anti-money laundering, mortgage and credit risk, and natural language processing. Chandler also leads the Public Sector Customer-Facing Data Science practice and the A.I. for Good team at DataRobot, most recently executing projects in Africa to improve access to water in developing nations. Ryan Ehrensberger is the Senior Director of Research and Business Development at the United Network for Organ Sharing and serves as a member of the organization’s executive team. Ryan oversees the organization’s scientific research, analytics, data science, data governance, business development and philanthropy functions. UNOS runs the nations organ transplant system and through its relatively new virtual research center – called UNOS Labs – is using data science, behavioral research and technology innovations to find ways to get more people transplanted. Tessa McKenzie is a data storyteller. Her work is committed to bringing data literacy to everyone and to closing the literacy gap to enable powerful insights. Tessa’s approach is tool-agnostic and is equal parts data analysis, effective visualization and narrative science. This method builds a data storytelling competency in organizations and has empowered data storytelling in newsrooms, nonprofits, as well as in the public sector. She currently works at !mpact Makers, a Richmond-based IT and data consulting firm, as a data consultant. Zachary is currently a Lead Data Scientist at S&P Global Market Intelligence, where he leads a small team with a focus on modern natural language processing and its application to content classification and data extraction. Zachary received his PhD in Computational Physics from The College of William & Mary in 2014, where he calculated features of the strong force using simulations on high performance computing clusters. Alexis Seigneurin is a Data Engineer. He focuses on Big Data and Streaming technologies and enjoys working with open source frameworks (Apache Kafka, Apache Spark...). When possible, he contributes his work back to the open source community (he is the author of the Scala API for Kafka Streams) and he loves sharing his work through blog posts. Alexis also enjoys studying Machine Learning techniques so as to bridge the gap between Data Science and Data Engineering. Dr. May Casterline is a data scientist/image scientist/software developer with a background in satellite and airborne imaging systems. Her research interests include deep learning, hyperspectral and multispectral imaging, innovative applications of machine learning approaches to remote sensing data, multimodal data fusion, data workflow design, high performance computing applications, and creative software solutions to challenging geospatial problems. Having spent many years in consulting (Deloitte & KPMG) and in the retail industry (Circuit City Stores), Robert joined Markel Corporation in 2005 as an Internal Audit Manager focused on building IT audit capabilities within the organization. While audit was an interesting challenge Robert’s primary interest developed while working as a consultant developing pricing optimization analytics for wholesale distributors. Paul Hurlocker is currently a Senior Director in the Center for Machine Learning at Capital One. He has been a Programmer, CTO, Chief Architect, and Consultant spanning numerous technology disciplines and industries over a 21-year career. For the last many years, he has been focused on evangelizing, designing, and implementing large scale systems that utilize Machine Learning. Pablo is Senior Director of Data Science at a fast-growing financial services start-up. His team builds industry-leading risk, fraud, and profitability predictive models using machine learning and deep learning techniques. He serves as a project coach for Texas A&M students seeking a masters degree in analytics, as well as an advisory board member of VCU's department of statistics. Mayur is an Advanced Analytics Manager at Altria. In his current role, Mayur analyzes data using mathematics, computer science and institutional knowledge to deliver consumer and market insights that drive decisions for Altria's operating companies: Philip Morris USA, U.S. Smokeless Tobacco Company, and Nat Sherman. Prior to Altria, Mayur worked for Caterpillar Inc. in their Marketing and Digital group. Mayur's current area of interest is Behavioral Economics.